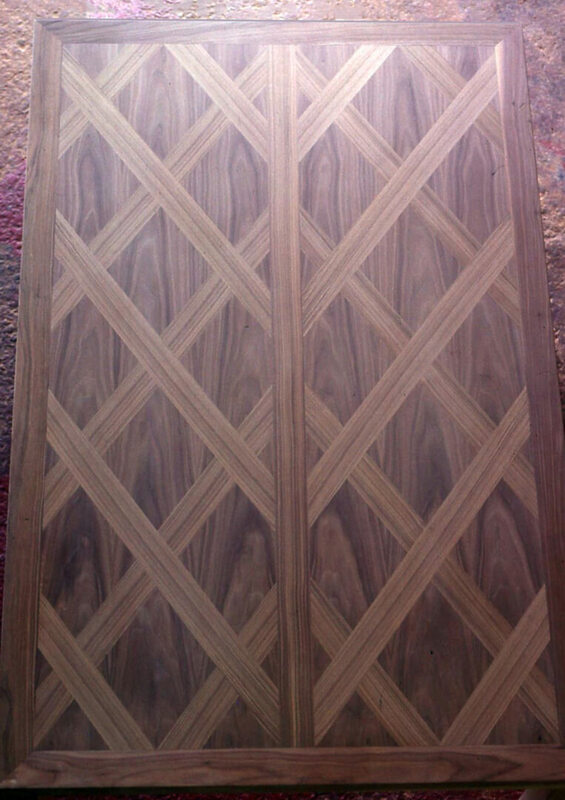 This dining table received a highly polished lacquer finish over the veneered walnut top. 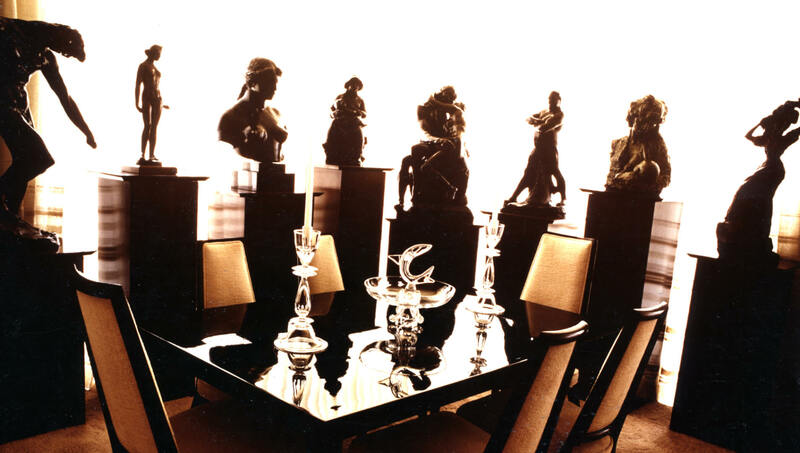 It was surrounded by the client’s sculpture collection which he had collected from his world travels. The picture’s reflection disguises the table’s detail which is shown in the added photos. Buried deep under the polished lacquer was this diamond veneer pattern that could only be seen by those seated at the table (or those standing close by). 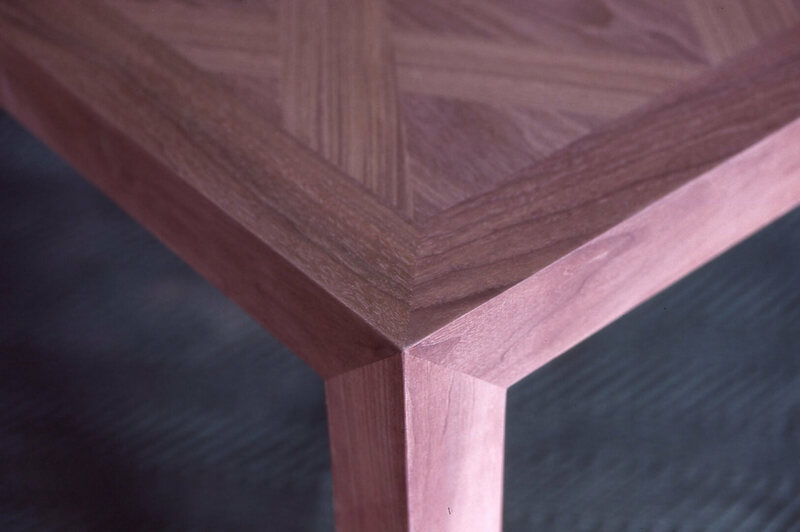 The solid walnut leg construction mated to the top with three-way spline and miter joinery.